Everyone has at least some experience with Olay. Whether while searching for their own skin solutions, or seeing Olay products nestled in the bathroom cupboard of a friend or family member, Olay’s products are widely found and easily recognizable. Backed by the most impressive skin care catalogue in the industry, the Olay brand has grown to impressive heights and has established a deserved reputation as the standard in over-the-counter skin care products in the personal care products industry. However, it can become somewhat difficult to narrow down your choices of Olay products – if the company and its product line had one shortcoming, this would be it! With so many options, it’s tough to figure out where to start, especially if you don’t have a lot of experience with skin care or haven’t undergone much trial-and-error with your own skin. I liken this to arriving at an all-you-can-eat buffet featuring every kind of food imaginable – you just don’t know where to head first, or what your strategy should be for getting the most out of your experience. Well, luckily for you, Maple Holistics is here to help. We’ve narrowed down the very best in Olay’s facial moisturizers and cleansers in order to give you some direction in a vast sea of skin care goodness! We’ve tried keeping our choices diverse for the sake of inclusiveness, and we’re sure after reviewing our list you’ll be ready to find the Olay product that works best for you! Without further ado, let’s get started here in our Top Olay Facial Cleansers and Moisturizers Review! If you’re looking for a moisturizer that will not only give you an instant moisturizing treatment, but transform your skin in as little as two weeks time, Regenerist Luminous Light is the one for you. 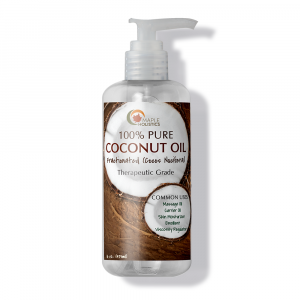 This moisturizer works in three specific ways in order to provide moistened, more vibrant skin. The moisturizer hydrates in order to plump up deflated skin, it evens skin tones wherever necessary, and it fades stubborn dark spots in order to brighten skin and provide for a more lively look. Regenerist Luminous Light accomplishes its job of moisturizing instantly, but only daily, regimented use over the course of at least two weeks will give you a true transformation – hey, Rome wasn’t build in one day! Other moisturizers are ineffective and provide only a fleeting moisturizing effect because they are only capable of penetrating the surface layer of the skin. Regenerist Luminous Light, however, is capable of penetrating a full ten-layers deep into the skin in order to provide maximum effectiveness. To most women looking to gain healthier, more radiant skin, attractive skin is synonymous with youthful skin. No one wants to be told that their skin looks old or worn! 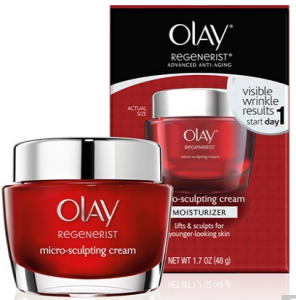 Well, for women looking to specifically achieve a younger look, Olay Regenerist Micro Sculpting Cream is here to help. Specifically designed to help retain the youthful texture and elasticity of the skin, this cream actively works to eliminate wrinkles by using an advanced amino-peptide complex to penetrate deep into the surface of the skin. This formula helps the cream eliminate wrinkles quickly and effectively! As was the case with Olay’s Regenerist Luminous Light Lotion and as will be the case with most Olay products, results are achievable in a single day, but consistent usage is the best way to go in terms of getting the most out of the cream. Full disclosure, this is my personal go-to product in terms of wrinkle reduction, and I couldn’t be happier with it. 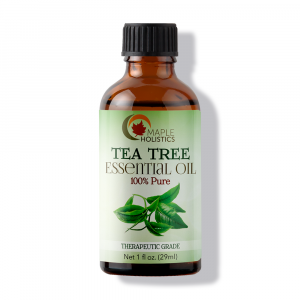 Not only has it eliminated many of my wrinkles, it has kept them away for good! Truthfully, Olay creams always bring results. When you’re talking about any Olay product line or category, it’s virtually inevitable that you’ll arrive at the “Total Effects 7” at some point – and here we are! Olay’s Total Effects Anti-Aging Moisturizer targets seven specific areas of aging in skin. In regards to these seven aging qualities, we have: Reduction of wrinkles and lines in the face, elimination of ‘age spots’, evening of uneven tones throughout the skin, relief of dryness through moisturizing (that pretty much goes without saying), undoing of dullness in the skin, and finally unclogging of the pores. 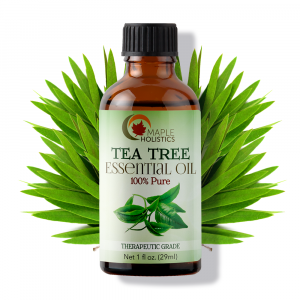 It doesn’t get any more comprehensive than this when it comes to anti-aging! The formula uses vitamins C, E, B3, and B5 in order to expedite the self-renewal process of the skin, naturally paving the way for skin that is firmer, brighter, clearer, and most importantly healthier. 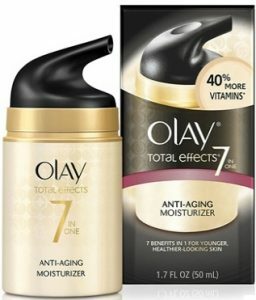 Once again in the interest of full disclosure, Olay Total Effects Anti-Aging Moisturizer did not work as effectively for me as Olay Regenerist Luminous Light, but as they say – different strokes for different folks. My skin is of a lighter, fairer tone, and I’ve heard darker skinned friends swear by Total Effects – maybe that’s a hint as to which can work best for you! 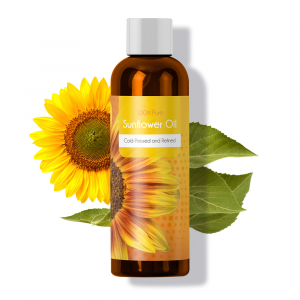 Do you have skin that is particularly sensitive to the sun and heat? It’s terrible, isn’t it?? I personally have suffered with skin that is sensitive to the sun for my entire life, and let me tell you, it’s no fun to struggle with this sort of an issue – particularly in the summer time when there’s nothing better than enjoying the suns rays, not hiding from them! But then, it seems like Olay has a solution for everything, doesn’t it? Olay Regenerist Micro-Sculpting Cream with Sunscreen Broad Spectrum SPF 30 is my go-to moisturizer when I’m looking for moist skin as well as protection from the sun. I can’t recommend this multi-purpose cream highly enough – rarely can you stand to gain so many benefits from one single product. Not only does this sculpting cream moisturize the skin, it reduces wrinkles as well and offers protection from the sun while doing it! Now, I wouldn’t tell you that this moisturizer can serve as a sunscreen replacement – far from it! But if you’re anything like me, you need all the help you can get in the summer months in order to fight back against the sun – and this sculpting cream is a great place to start! Tell me if this sounds familiar – you have some sort of big event or engagement in the morning, only to note that your skin is looking absolutely deflated and not photo-ready before bedtime. We’ve all been there, am I right? Well, I’m fond of noting that there’s no such thing as a miracle cure – the best way to ensure healthy skin is with consistent care, treatment, and attention. 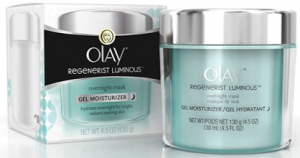 However, if one product was to warrant such a labeling, it would be the Olay Regenerist Luminous Overnight Mask – without a doubt! This incredible product creates a gel-based overnight facial mask which has the power to work overnight at the surface level in order to provide for brighter, more hydrated skin by morning time! Consistent use sees even better results, and to be honest, this product isn’t just effective – it’s downright fun! There is something strangely satisfying about applying the gel mask, and especially about peeling it off – I highly recommend trying it, you’ll see what I mean! Looking for a moisturizer that firms, lifts and maintains our youthful glow? Moisturizing your skin is just one element of the skin care game – keeping your skin clean is just as important, if not more so! Clean skin breeds clear skin, and clear skin is more easily moisturized – clogged pores aren’t going to be doing your moisturizing efforts any favors! Therefore, it’s time to move on to our Olay Skin Cleansers category, starting things off with Olay Deeply Clean Mineral Face Cleanser. 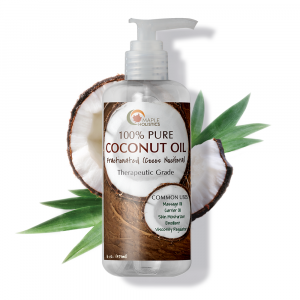 Thanks for reading our Olay feature – check out our reviews of other great brands like Lush, Neutrogena, or Urban Decay here at Maple Holistics! This excellent daily cleanser accomplishes what many other cleansers do not – it manages to cleanse your skin without drying it out or leaving it more susceptible to drying, paving the way for a clear, healthy look. The natural formula contains kaolin clay, which is capable of reducing pore appearance and skin shine after just one use. Try this cleanser with any skin type – oily, dried out, it makes no matter – Olay Deeply Clean Mineral Face Cleanser can do the job for you. A necessary part of any skin cleaning regimen is proper makeup removal – a step that Olay has the goods to help with. All too often I’ve witnessed friends and family make the mistake of using standard cleaning wet cloths or wipes in order to remove makeup. I can’t stress this enough – those wipes were not made to remove makeup! 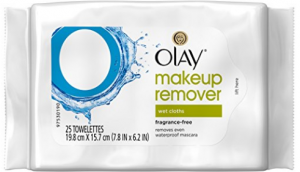 Using any old wipes can leave the skin in a damaged or vulnerable state, something that can be easily avoided by using Olay Makeup Remover Wet Cloths. Specially designed to remove makeup, these cloths effectively remove makeup of any kind, regardless of how stubborn or waterproof they may be. Boasting a formula which contains honeysuckle and white tea, Olay wet cloths pack a serious punch in removing makeup but also leave the skin clean, grease-free, and safe – quite a one-two punch! Fresh effects 1-2-3 acne solution system. There may not be any more frustrating skin-related problem than persistent acne, and it’s not just teens who suffer from this kind of problem. Believe me – I’ve had my fair share of acne well into my adult years! 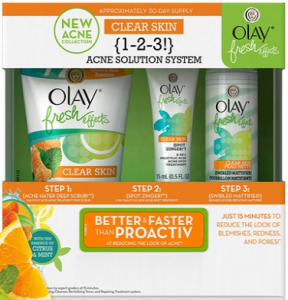 As it happens, Olay happens to have their acne game on point – and they offer no greater acne combatant than their Fresh Effects Clear Skin 1-2-3 Acne Solution System. Featuring three different products as the name would suggest, this acne system includes Olay’s Acne Hater Deep Scrub for skin cleansing, Olay’s Spot Zinger for on-the-spot acne treatment which targets specific areas and pimples, and Olay’s Swirled Mattifier for reducing redness and pore size. All in all, the three make for a wildly effective and useful kit – this could just be the acne cure you’ve been waiting for! Pro x advanced cleansing system. 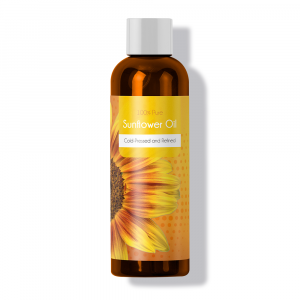 Looking for something a bit more intensive in terms of skin cleansing, whether it be for general purposes or to combat acne? 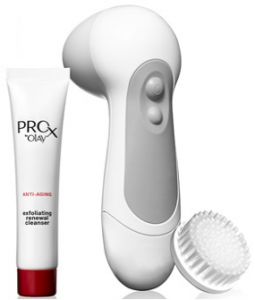 The Pro X system by Olay is just the ticket – you won’t find a more intensive and rigorous over-the-counter cleansing treatment anywhere. Included is a renewal cleansing cream, but the magic is in the Pro X brush. Olay’s patented skin cleaning brush rotates across the skin in order to exfoliate and cleanse the skin, leaving the skin clear, clean, and ready for moisturizing. The brush can be set to two speeds depending on your need or preference, and the renewal cleansing cream is a perfect companion – apply after a brush session for maximum effectiveness! Now, if you want to get really intense with it, you might want to consider Olay’s Microdermabrasion Plus Advanced Cleansing System. Included with the brush is a foam head and a self-warming thermal crystal polisher for alternate cleansing treatments – you can penetrate deep into your skin for deep cleansing with the foam head, or buff its outer layers with the crystal polisher. Three speed settings allow for even more customization, and the entire system is capable of improving radiance and brightness in skin, reducing pore size, and providing a more even skin tone – all of this in addition to one of the most thorough cleansing processes you’ll ever experience!